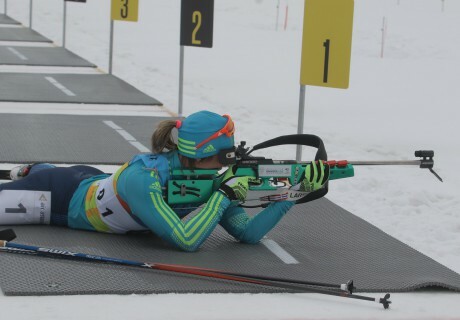 Biathlete Galina Vishnevskaya won 11th gold for Team Kazakhstan at the Universiade, Kazinform reports. Today, at the women's biathlon mass start at Alatau complex Galina Vishnevskaya was first, Ukrainian Yana Bondar took second place, Russian Larisa Kuklina - third. It is worth noting that it is her second gold medal at the Universiade. Currently Team Kazakhstan has 11 gold, 6 silver and 11 bronze medals.